Last week two juggernauts clashed in formal debate. Self-styled Bill Nye “The Science Guy,” whose life mission is to spread the love of science and progressive thought, stepped up to a battle of wits with Ken Ham, President of the Young Earth organization Answers in Genesis and the Creation Museum. 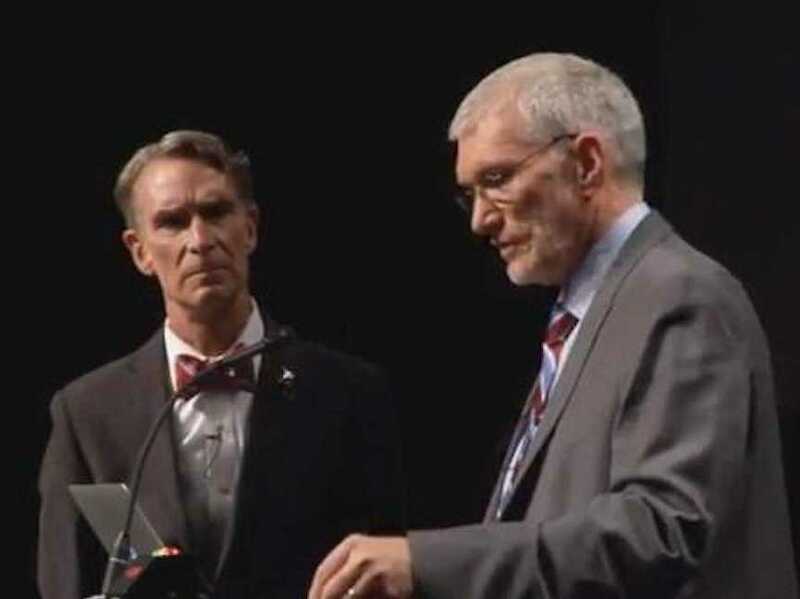 When asked about their goals, Nye and Ham both expressed a desire to “foster discussion about evolution and creationism” and to “inspire people to reflect further on their own beliefs.” And, Ham may have achieved the latter in the unlikely person of Nye himself. “I admit I didn’t go into the debate expecting to have my opinions changed,” reflected Nye. “But Ham made so much gosh darn sense and it’s hard not to see the hand of an all-powerful creator in the world around us.” The debate took a marked turn when Ham pointed out the logical inconsistencies of the fossil record. “How staggeringly unlikely is it,” he asked, “that all these dinosaurs died right in museums?” Unable to respond, Nye was forced to concede the point. “Honestly, I’ve got a lot of thinking to do,” said Nye following the debate. Since then, he has done just that. The scientist and educator has changed his title to Bill Nye the Pious Guy, and is leaving the national spotlight to spend the next few years in silent contemplation in a monastery.